Zucchini Butter, to the rescue! The results are in—here are the recipes our community loved from Your Best Recipe with Zucchini or Summer Squash. We've tested and tasted our way through the recipes for Your Best Recipe with Zucchini or Summer Squash and have emerged with two promising finalists. It's that time again—help us pick the contest finalists for Your Best Recipe with Zucchini or Summer Squash! Why choose between three recipes when you can just combine them all? With help from seared lamb, za'atar, and Asiago, stuffed zucchini gets a long overdue makeover. Head out to the garden for our latest contest. Wherever you look, there's zucchini. Here's how to turn that bounty into dinner. To improve upon a classic sandwich, don't limit the cheese to the interior. Kimchi is the solution to an overload of just about any vegetable. The genius summer side you can make whenever you have 15 minutes, and then completely forget about. Your dinner could use a little flower power. A legendary pasta dish from the Amalfi Coast. With layers of roasted summer vegetables and an herbed tofu filling, this lasagna does not want for mozzarella or ricotta. 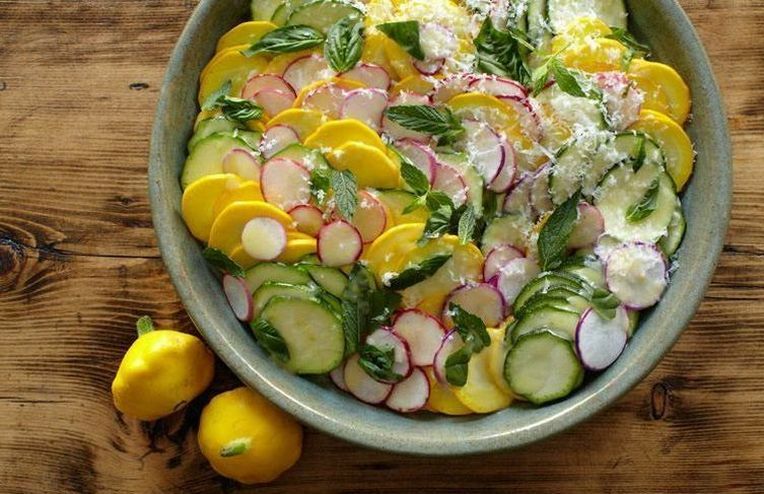 Keep September simple by tossing all your favorite summer vegetables into a dish that works at any time of day. Yes, everything tastes better when you waffle it.